Last summer, at their yearly earnings call, Blackberry announced their most radical phone yet. 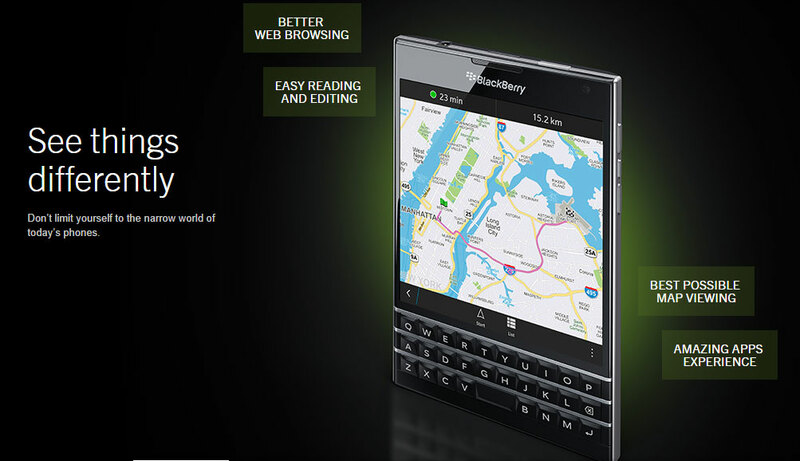 Blackberry finally released the Passport on Wednesday and it is retailing in five markets worldwide. The name Passport comes from the fact that the phone is in fact shaped like a passport, all wide and tall. One of the phone’s notable features is its incredible 4.5” square screen which boasts a resolution of 1440×1440 pixels giving a pixel density of about 453 ppi. In comparison, the HTC One M8 only has a ppi of 441 and the iPhone 6 Pus with a 401 ppi screen. Blackberry claims that their wide screen can view 60 characters in a line which makes it suitable for reading emails, browsing the web and viewing spreadsheets. The phone comes with the good old trusted Blackberry keyboard which is one of the things that make Blackberry what it is, but from looking at it, the keyboard isn’t quite what one would expect. Gone is the keyboard where your hands simply wrap around your fingers. This keyboard is wide, like the phone, and typing would feel uncomfortable unless you are using both hands. However, the Blackberry Passport’s keyboard features aren’t skin deep. The keyboard has a capacitive sensor underneath which allows users to scroll webpages, flick through pages so you can control your phone without having to stretch up to reach the touchscreen. Blackberry Passport comes with Blackberry OS 10.3 which comes with Blackberry Assistant, Blackberry’s rather late response to Siri. Blackberry claims the Passport’s speakers to be the loudest and clearest among any smartphone out there, including the HTC One M8 with its BoomSound speakers. 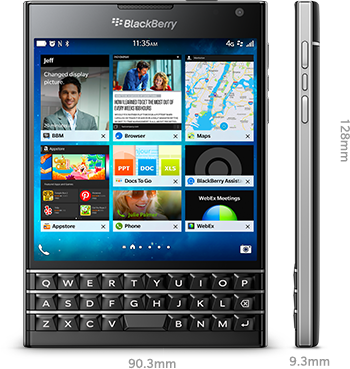 For Blackberry the Passport is yet another chance to get back in the smartphone market. Currently, only 1 out of every 100 smartphones in the market is a Blackberry but with the Passport, Blackberry seeks to change that. Over the last few years, Blackberry has been getting hit time and time again and recently with the Apple and IBM partnership. For most Blackberry fanatics, myself included, this is yet another hope for Blackberry to emerge again. The Blackberry Passport is a very strange device, but so was the original Note, but it is only when we use something new that we know if we truly need it or not. Until now, it looks good for Blackberry. The Passport has been received with mixed reveiws overall, but according to Blackberry, their Passport has sold out within 10 hours. The Blackberry Passport is now available in five markets worldwide, including the US where it retails for $599 off contract.